Culinary Historians of San Diego will inaugurate its monthly public lecture series with “Cheese Through Time & Space, or How the Curds Always Find a Whey” featuring Andrew Spurgin. London born, but longtime San Diegan, Spurgin is a chef consultant and event designer who has cooked for three U.S. presidents, Martha Stewart, Jane Goodall, and at the James Beard House in New York. A popular lecturer, he travels throughout North America, Mexico and England to address the subjects of sustainability, cooking, event design, culinary responsibility and entertaining. The lecture will be held on the 9th floor in the Darlene Shiley Event Suite and San Diego’s brilliant new Central Library at 330 Park Boulevard. Thanks for the shout out! It was great to have the opportunity to lecture about one of my favorite subjects “Cheese” at the new library! 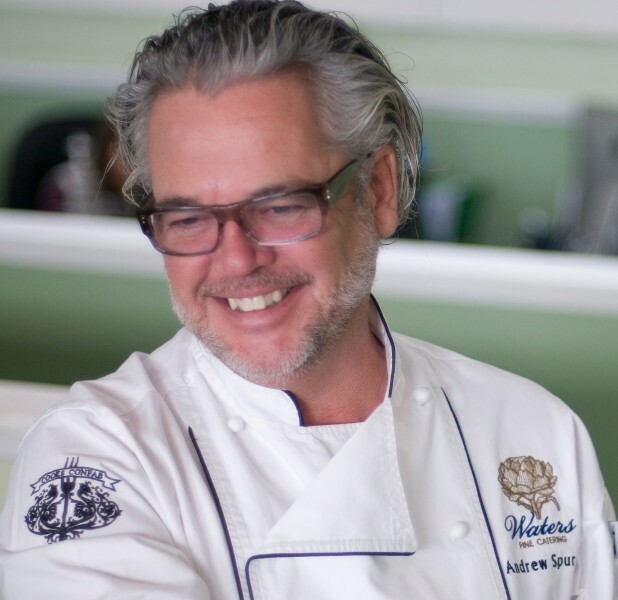 As an aside, that flattering photo actually shows me working at Waters Fine Catering, I have not been there since 2011, as I now have my own firm, visit me at http://www.andrewspurgin.com.